Ground from the solid on 1/8" shanks. See chart for sizes. 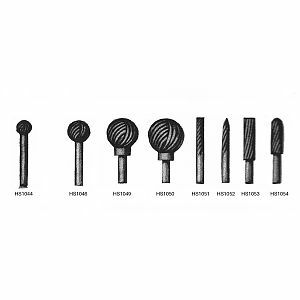 All burs are approx 1-1/2"OAL. Limited quantity available, items below will be discontinued when present stock is depleted.